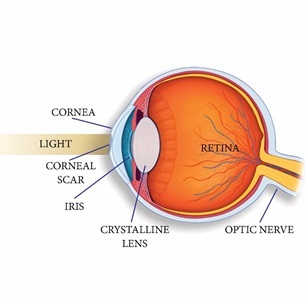 The cornea is the clear, living tissue on the very front part of the eye. 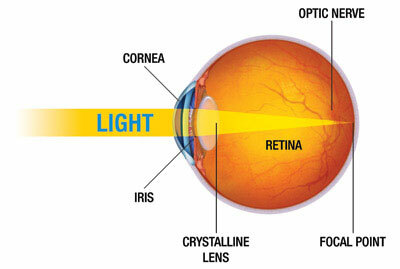 Light passes through the clear cornea on its path toward the retina in the back part of the eye. A healthy, clear cornea is necessary for perfectly clear vision. Occasionally, either through disease or injury, the corneal tissue is damaged to a point where light can no longer effectively pass through it, resulting in reduced vision. 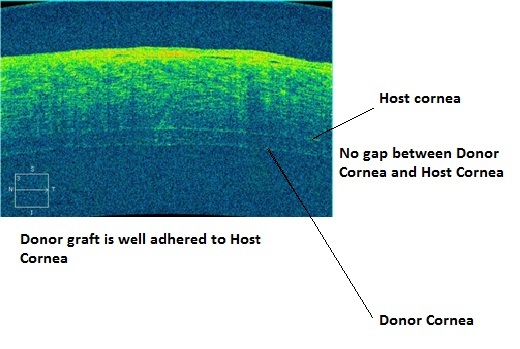 Where indicated by an ophthalmologist, a corneal transplant procedure may be performed which replaces the damaged cornea with a clear donor cornea. 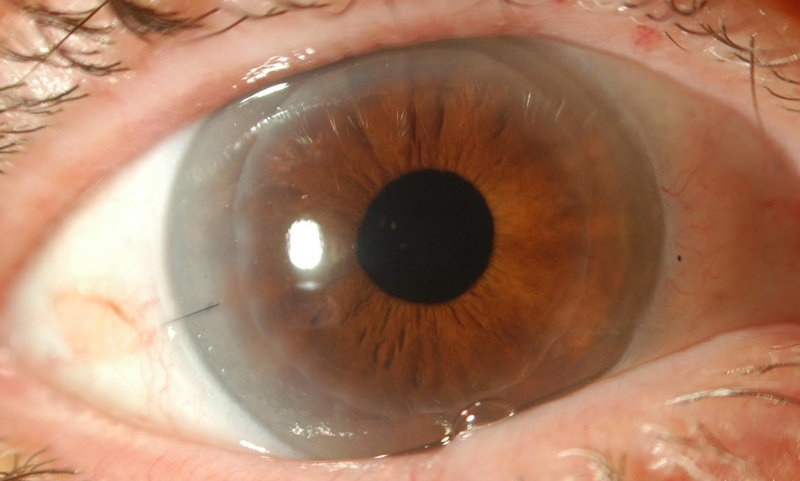 Typically, patients with corneal diseases were required to have a full thickness corneal transplant, or penetrating keratoplasty (PK), to improve their vision. Some diseases of the cornea, however, only affect the inner lining of the cornea called as endothelium. Therefore, a new version of corneal transplant, known as a Descemet's Stripping Endothelial Keratoplasty (DSEK), has been introduced. It is a new surgical method that uses only a very thin portion of the donor cornea for transplant. DSEK is a corneal transplant technique where the unhealthy, diseased, posterior portion (endothelium) of a patient's cornea is removed and replaced with healthy donor tissue obtained from the eye bank. Unlike the PK, the DSEK procedure utilizes a much smaller surgical incision and requires no corneal sutures. This usually results in more rapid visual rehabilitation for the patient and reduces the risk of sight threatening complications that may occur with the PK. When endothelial cells are healthy, they function as a "pump-leak system" to provide nourishment for the cornea. In other words, these cells allow nourishing fluid from inside the eye (aqueous humor) to leak into the cornea. After the corneal cells have been nourished, the cells pump the fluid out of the cornea. If the endothelial pump is compromised for any reason the cornea will over hydrate and become cloudy due to corneal swelling or corneal edema. Vision eventually deteriorates to a point where these patients feel like they are looking through wax paper. 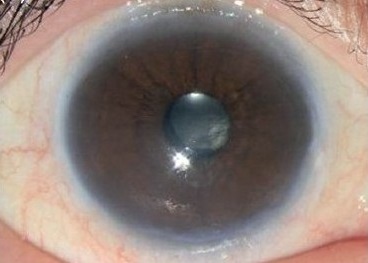 Such patients are good candidates for the DSEK corneal transplant procedure. Acquired Pseudophakic or Aphakic bullous keratopathy- These are the eye diseases where the cornea develops swelling after a previous cataract surgery. In some cases, swelling can develop immediately after the cataract surgery and in others it can develop years after the previous cataract surgery. People often take it as equal to previous failed cataract surgery which may not be the case. Failed previous graft- If a patient has undergone previous cornea transplant and it has failed due to any of reasons like graft rejection etc then DSEK can be performed. Inherited Fuch’s Endothelial Dystrophy and Iridocorneal Endothelial Syndrome- These are congenital corneal eye diseases where slowly corneal function reduces, and it develops swelling. A full thickness corneal transplant removes a circular disc from the center of the cornea. 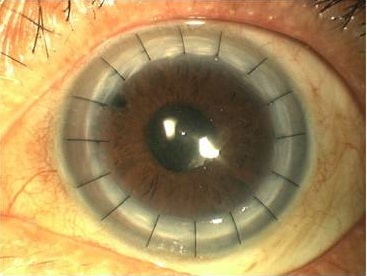 A healthy, clear donor cornea is obtained from a donor after a person dies. . A central circular area with a similar shape is then removed from the donor cornea. The new cornea is then put into position and sutured into place. A full thickness corneal transplant called penetrating keratoplasty is a safe and well tolerated procedure. However, the recovery can be quite long, up to twelve months. It is also not uncommon to have significant irregular curvature of the cornea because of the sutures. In many cases a contact lens is required to achieve the best vision. Finally, a full thickness cornea transplant can have continued weakness even years later such that a minor trauma can dislocate the graft from its position. The DSEK procedure can overcome many of these problems associated with a standard corneal transplant. With a DSEK procedure only the abnormal inner lining (endothelium) of the cornea is removed. A thin, circular disc is then removed from the inner lining of a donor cornea. This is folded and place inside of the eye where an air bubble pushes it in place until it heals in an appropriate position. That will pump the fluid out of the cornea. It’s expected to restore corneal clarity and improve vision. No sutures are required and the structure of the cornea remains intact, leading to a faster visual recovery and less astigmatism. This procedure corrects corneal endothelium failure, but it cannot correct deep corneal scarring, thinning or ocular surface irregularity. After full thickness cornea transplant or after DSEK procedure there is a risk of graft rejection, where the body's immune system starts to fight against the new donor cornea as it recognises it as foreign material. The symptoms of rejection are redness, blurry vision, and light sensitivity. This can happen at any time months or years after the transplant. In most circumstances it can be treated, and graft can be saved. Complications after DSEK are rare. One rare complication that can occur after DSEK is graft dislocation. 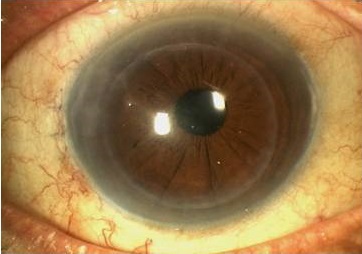 In this the circular donor corneal disc slips from its intended position. In this circumstance the donor disc needs to be repositioned in the operating room by a minor procedure. The DSEK procedure is done by cornea specialist under local anaesthesia. The patient is brought to the operating room in an ambulatory surgery centre. The procedure takes approximately 45 minutes. For the first 24 hours you will be asked to lie on your back with your face pointed directly to the ceiling for as much time as you can tolerate. This will help the graft stay in position as the air bubble holds it up into place on your cornea. You will be given several drops to use to prevent infection as well as to help the eye heal comfortably. After the first 48 hours there are minimal restrictions to your activities. The vision is usually better within one week. 80% of the healing has taken place by one month but the vision can continue to slowly improve over the next four to six months. Recovery after DSEK is quick and within a few weeks patient can get back to normal day to day activities. Post DSEK care is also minimal and like any other eye surgery like cataract surgery.